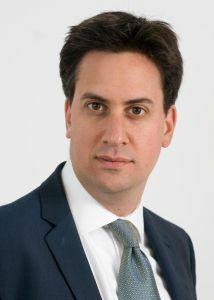 The below speech was made by the Leader of the Opposition, Ed Miliband, on 5th November 2012 at Islington Town Hall. I want to thank everyone gathered here, councillors, representatives of Citizens UK, Labour Party supporters, businesses, trade unions and people who are just passionate about the living wage. As we start Living Wage Week, there are almost five million people in Britain who aren’t earning the living wage. People who got up early this morning, spent hours getting to work – who are putting in all the effort they can – but who often don’t get paid enough to look after their families, to heat their homes, feed their kids, care for their elderly relatives and plan for the future. I heard from some of them in Manchester on Friday. Five million people in Britain who are doing the right thing and doing their bit. People helping to build the prosperity on which our country depends. But people who aren’t sharing fairly in the rewards. That’s not how it should be in Britain today. That’s not how we will succeed as a country in the years ahead. We must turn that around. We must rebuild our country as One Nation. And that’s why I am delighted to join with you in reaffirming my commitment to the campaign for the living wage. The living wage isn’t an idea that came from politicians. Or from academics in think tanks. It came from working people themselves. People who recognised that they were giving their all for organisations that could afford to pay just a little bit more to give dignity to them. But who weren’t doing so. People who recognised that their firms might be more likely to succeed if they did. And this campaign was the result. A campaign that is doing so much to change attitudes to our economy. Bringing together politicians, with businesses, trade unions, councils, and voluntary groups to insist that the living wage is an idea whose time has come. And recent evidence tells us more clearly than ever how necessary the living wage is for our country. The Resolution Foundation report published last week, showed the way in which our economy is not working for working people. But just for a few at the top. A few taking ever-more of a share of the national cake. While other people struggle more and more to make ends meet. And the prospect into the future of stagnating living standards for millions of people. Therefore one of the big questions for our country is who will answer this living standards crisis? Who will just say it is business as usual and who will be bold enough to change things? The Labour Party I lead is determined to bring about change. Just as in the 1990s, the minimum wage was a signature achievement of the last Labour government. So in the coming years, the living wage will be central to our work. I want to tell you today why I became so passionate about the living wage. Just before the General Election, Citizens UK came to see me with a cleaner from the Treasury who wasn’t being paid the living wage. I thought then that if our common life was to mean anything, it should mean that this hard-working woman, who cleaned the office of the Chancellor of the Exchequer, should be paid at least the living wage. So our last manifesto committed, as a small but important step, to pay the living wage in Whitehall departments. And it was this experience that inspired me to put the living wage at the centre of my Labour leadership campaign. Then after I became leader, about a year ago, Citizens UK came to see and said only a couple of councils, both Labour, were recognised as living wage employers. And we needed to move beyond that. I am proud to say that since then, Islington and Lewisham have been joined by Labour councils in Birmingham, Hounslow, Lambeth, Camden, Oxford, Preston, Southwark and Hackney, all living wage employers. And soon by other Labour councils in Ealing, Enfield, Brent, Cardiff and Norwich. With Glasgow, Newcastle, York and Leeds starting along that path as well. That’s 19 Labour councils across the country moving to pay their employees and their directly contracted staff at least the living wage. I congratulate all the councils here on what they are doing. This is an important step for workers across the country. But we know it is not enough because the vast majority of those being paid less than the living wage are in the private sector. Some people will say that in a harshly competitive world, nothing can be done. And nor do many of our leading British businesses. At least one hundred have now joined the living wage campaign led by Citizens UK. Of course, for some firms, particularly small and medium-sized enterprises, it is not affordable in current circumstances to pay the living wage. That’s why the minimum wage of £6.19, is an important national legal standard for wages. But that should not the summit of our ambitions. Either for our workforce, our employers or our country. Or the limit of our responsibilities. There are sectors of our economy, where some firms are choosing to pay the living wage and others are choosing not to. And I believe we can learn from the best British businesses that are paying the living wage. Businesses which have introduced it tell us that it saves them money. In reduced turnover of staff. Let’s congratulate Barclays that has been paying the London living wage since 2007 and rolled it out nationally this year. In cleaning, they keep 92% of their workers against 35% across the industry. So it makes business sense. I urge businesses to examine whether they can afford to pay the living wage, and if they can to move to do so. And as the Labour Party continues with its policy review, we need to see what the next Labour government can do to help as well. It’s not about making spending commitments. It’s about learning from our experience in local government. It’s about listening to the best businesses in the country. First, we should recognize that if firms pay the living wage, it has a saving for government. In my leadership campaign, I worked with the Institute of Fiscal Studies. Their evidence showed that for every £1 spent in the private sector on getting workers up to the living wage, around 50 pence of that would come back to government in savings on tax credits and benefits and in higher tax revenue. We are looking at whether it is possible to encourage more firms to pay the living wage by sharing some of those savings that come back to government. There are lots of ways it could be done. But it should be locally led. Focused on what you might call Living Wage Zones. For example, local councils could come together with groups of firms that want to move from the minimum wage to the living wage. And central government could offer up some of the savings from the taxpayer to be used as a financial incentive to make it happen. That incentive could take many forms. But it is a One Nation solution with local people, councils and business coming together. Secondly, we should seek to learn from the local government experience with procurement to see whether central government can use its power to insist that large firms that get major government contracts commit to being living wage employers. We know how some councils have done this for contracted out services. Here in Islington, the company that delivered ground maintenance moved to pay the living wage, without extra cost to the local taxpayer or any job losses. We will look at whether we can apply this lesson to central government procurement. Thirdly, we will examine the case for greater transparency: large firms publishing the number of employees paid less than the living wage, as proposed by the Resolution Foundation. This is not because we think every employer can pay the living wage but it will encourage, sector by sector, all to aspire to the ambitions of the best. So these are some of the ideas we are examining. I promise today that at the next election, we will present a manifesto that explains how we can help to make the living wage a part of our strategy to make Britain’s economy work for working people again. Two and half years ago, David Cameron came into office promising to bring change to Britain. Promising to care for the low paid. He said there would be at least a £250 pay increase for the 1.7 million lowest paid workers in their first two years. But it is a promise he has failed to keep. And it’s not an accident. It’s because the change we need goes far deeper than David Cameron and his Conservative Party is capable ever of admitting. It is good that Boris Johnson is supporting the London living wage today, building on the work of Ken Livingstone. But he is the only Conservative local authority leader to run an authority paying the living wage. It is striking that while 19 Labour councils are already living wage employers, not a single Conservative council is yet accredited. The problem is this Government is stuck in the old mindset: saying nothing can be done and making it worse with tax cuts for millionaires and tax rises for everyone else. It is only a Labour government that will address the living standards crisis faced by so many. We need to build an economy where everyone has a stake. Not where millions of people feel they never have a chance for a decent life however hard they work. An economy where prosperity is fairly shared. Not where the rewards for success are passed to some who play their part and not to others. And an economy where we all come together as a country to overcome the challenges we face. We need an economy that would help us to rebuild Britain as One Nation. Not where we live apart, in two nations. Building that economy won’t be easy. It will require us all to play our part. Public sector and private sector. Business, trade unions and government. The campaign for a living wage is a central part of it. That is why I am so pleased to be here today.